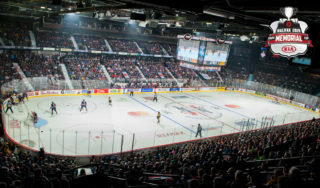 Mississauga, ON – The Canadian Hockey League today announced the top individual award winners and tournament All-Stars following the Championship Final of the 2011 MasterCard Memorial Cup on Sunday. The winners were selected by NHL Central Scouting. Jonathan Huberdeau of the Saint John Sea Dogs finished tied for second in tournament scoring with six points in four games including three goals and three assists. 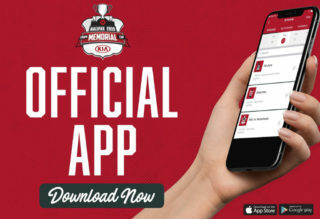 The 18-year-old from St-Jerome, Quebec, scored a goal and an assist in the 3-1 Championship Final victory over the Mississauga St. Michael’s Majors. Eligible for the 2011 NHL Entry Draft, Huberdeau is the third ranked skater by NHL Central Scouting and is the first Quebec-born player to win the Stafford Smythe Memorial Trophy since Danny Groulx of the Victoriaville Tigres in 2002. 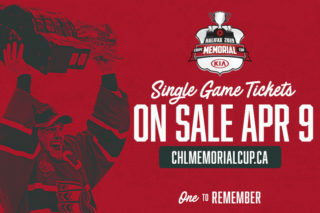 Andrew Shaw of the Owen Sound Attack led the 2011 MasterCard Memorial Cup in scoring with seven points in four games scoring two goals and five assists. A 19-year-old from Belleville, ON, Shaw recorded a point in all four games and produced three multi-point games completing his third OHL season. Marc Cantin of the Mississauga St. Michael’s Majors had two assists in five games and was the only defenceman on the Majors that did not record any penalty minutes. A 21-year-old from Omemee, ON, the Boston Bruins prospect concludes a five-year OHL career with three appearances in the MasterCard Memorial Cup including a Championship title last season with the Windsor Spitfires. Jordan Binnington of the Owen Sound Attack had three starts in the 2011 MasterCard Memorial Cup posting a 1-2 record with a tournament-best goals-against-average of 1.42 and save percentage of .951. 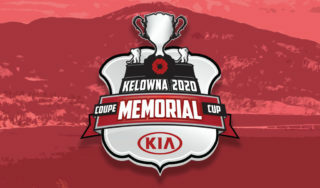 The 17-year-old from Richmond Hill, ON, posted the only shutout of the tournament with 29 saves as part of a 5-0 win over the Kootenay Ice. He is eligible for the 2011 NHL Entry Draft and is the third ranked North American goaltender by NHL Central Scouting. Huberdeau and Shaw were also recognized on the tournament All-Star team at forward along with Devante Smith-Pelly of the Mississauga St. Michael’s Majors. The Anaheim Ducks prospect had three goals and three assists for six points in five games. 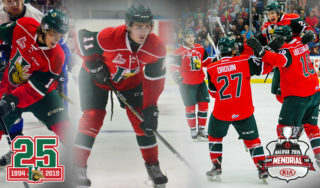 A pair of 2011 NHL Entry Draft prospects were named to the tournament All-Star team on defence. Fifth ranked Nathan Beaulieu of the Saint John Sea Dogs had three points in four games, while the 53rd ranke Stuart Percy of the Mississauga St. Michael’s Majors had four assists in five games. Binnington was named to the All-Star team in goal. 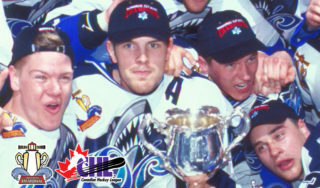 With Sunday’s 3-1 win in the Championship Final of the 2011 MasterCard Memorial Cup, the Saint John Sea Dogs become the first team from the Maritimes to win the Memorial Cup. This was the 93rd time the trophy was presented.